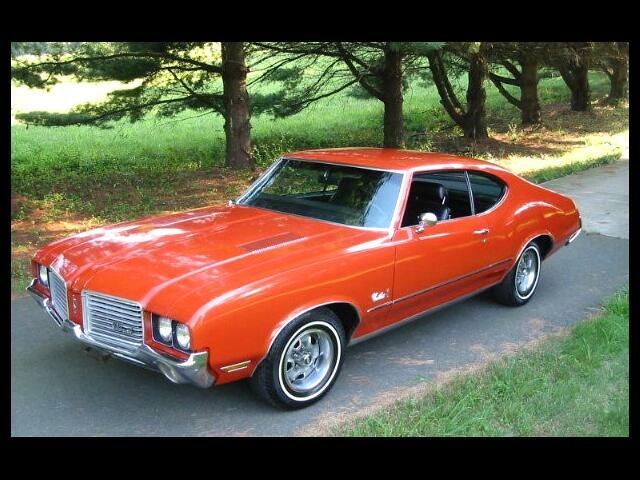 1972 Oldsmobile Cutlass S hardtop cpe. Special ordered with factory 455 cu in V8, Automatic transmission, power steering power disc brakes, bucket seats, console, gauge package with tachometer, air conditioning, dual exhaust, positraction, Super Stock wheels, tinted glass, and more. Garage kept car, from new. Super solid un-molested original. Message: Thought you might be interested in this 1972 Oldsmobile Cutlass.